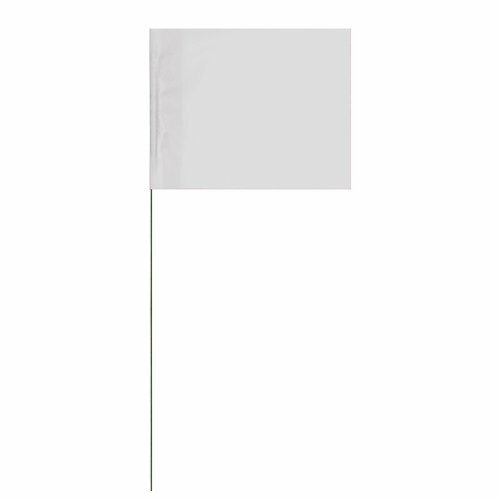 4" x 5" x 21" Wire Staff Marking Flags are ideal for aboveground marking in a variety of industries. From utility construction to line locating, hardware to forestry, landscaping and lawn care to pet containment - these flags ensure consistent communication and long-lasting visibility for your project. SWANSON 6 inch marking whiskers are the best alternative marking choice for survey and construction sites, underground utility locating, and more. These marking whiskers are virtually indestructible and are designed to spring back up when run over by lawn mo. 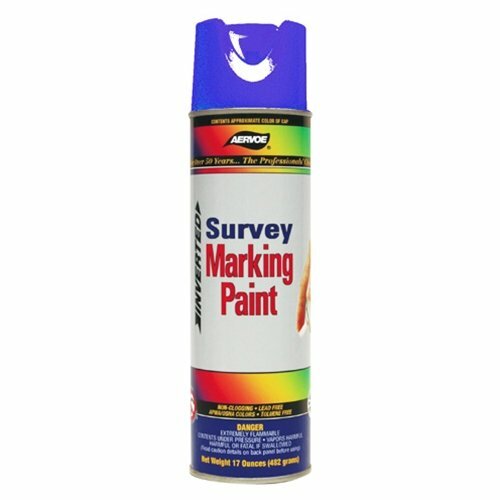 Aervoe Survey Marking Spray Paint is a superior upside down marking paint that is designed for survey marking and utility marking. Inverted Spray Paint is excellent for marking the ground for utility location, property lines, right-of-ways, etc. It provides the best quality paint in terms of color visibility and retention, durability, and a lasting mark of up to six months. 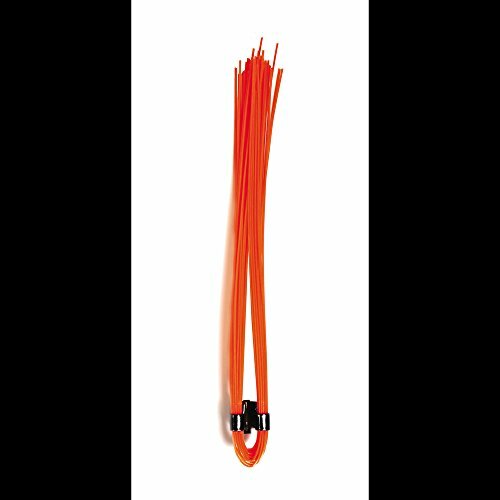 Non-freezing and operational to 14 Degrees F. Colors are formulated to meet standards set by OSHA and APWA/One Call Systems. 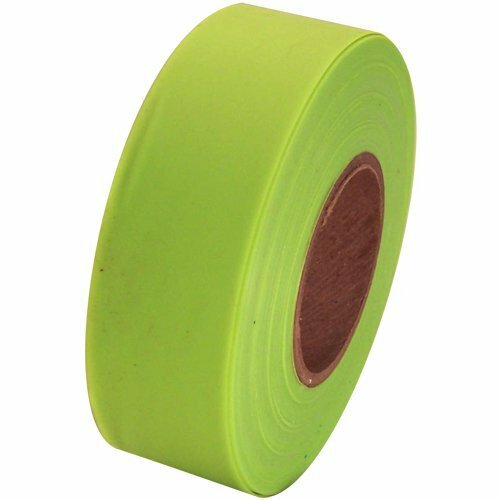 Flagging Tape is a non adhesive plastic marking ribbon used for surveying, mapping, tagging, roping off areas or any other marking applications. Roll length for regular colors/patterns is 300', roll length for fluorescent colors is 150'. Aervoe 227 Fluorescent Survey Marking Paint, Aerosol 20 oz. Aervoe 227 Specifications: Container size: 20 oz. (17-oz. fill) Color: BlueAervoe 227 Includes: (1) 20 oz. Fluorescent Survey Marking Paint, Aerosol (Blue)Aervoe 227 Features: Non-clogging can empties contents completely Available in 22 regular and fluorescent colors Packaged in 20-ounce aerosols and bulk liquid containers High Delivery available for faster delivery and better coverage Mark is visible for up to 6 months depending on traffic and exposure Patented spray-through cap can be left on or easily removed Designed to be used in Aervoe's #244 Spot Marker, #245 Marking Stick, or by hand This product is not recommended for use on turf surfaces Adheres to almost any surface, including wood, concrete, asphalt, brick, and gravel Use for survey marking, landscape, utility/locator, construction and proposed excavation. Use bulk liquid for dipping stakes.Aervoe's Survey Marking Paint is a superior upside down marking paint that is designed for survey marking. It provides the best quality paint in terms of color visibility and retention, durability, and a lasting mark of up to six months. Non-freezing and operational to 14°F. Colors formulated to meet standards set by OSHA and APWA/One Call Systems. Looking for more Survey Marking similar ideas? Try to explore these searches: Bookmark Display, Black Waveceptor Atomic Solar Watch, and Lightweight Stretch Tights. Look at latest related video about Survey Marking. Shopwizion.com is the smartest way for online shopping: compare prices of leading online shops for best deals around the web. Don't miss TOP Survey Marking deals, updated daily.